Taylor Quinn is the Emerging Markets Director at JUST. The question of how we can create food systems that work for everyone, everywhere guides Taylor’s work. He is dedicated to building systems where food is delicious, nutritious, affordable and local. 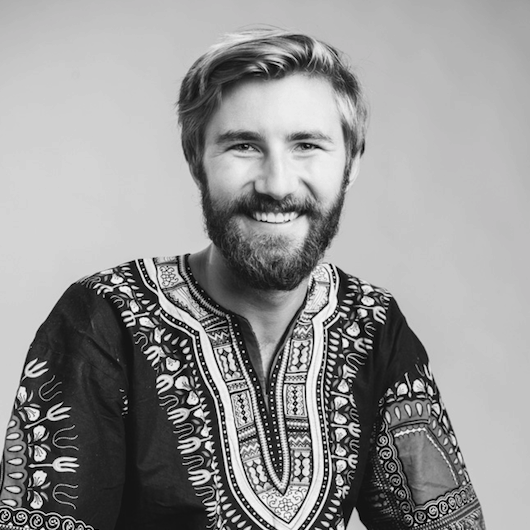 Leveraging his academic background as an anthropologist and practical background as a social entrepreneur, Taylor spends his days with farmers, food processors, government officials and most importantly, people living in extreme poverty. Taylor has developed and rolled out JUST’s first line of products in Liberia’s complex business landscape and is now set to scale to other countries with massive malnutrition challenges. For many global development players, high-tech innovations are the go-to solution for challenges in emerging markets. But according to Taylor Quinn of JUST, Inc., low-tech approaches can be even smarter. He discusses the promising potential of locally made and hand-powered machines in emerging economy value chains, and explores how JUST is using one such device to improve food security, increase access to quality nutrition and promote entrepreneurship in Liberia.